Solid stating can improve your material strength, impact resistance and melt viscosity. Ancos specialists have more than 30 years experience. We can help you customize melt viscosities and improve properties for a wide range of polymers, while maintaining your color requirement. 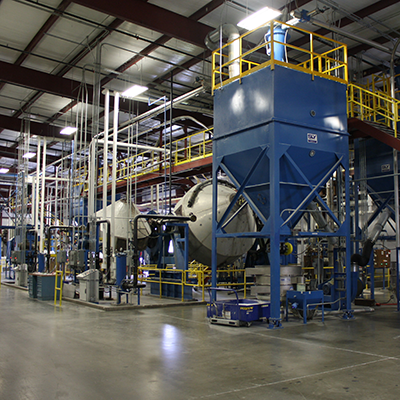 We utilize batch processing in order to ensure tight and uniform specifications for your product and provide consistency throughout the entire process. Our technology and processes enable precise controls and complete yields that meet and often exceed what customers can accomplish in their own facilities. Are your customers’ products failing end-use tests? You may need more impact resistance or higher tensile strength for improved product performance. Ancos can help you get a higher Intrinsic Viscosity or Relative Viscosity, as required. Have you ever struggled with blow molding or film extrusion due to improper melt viscosity? 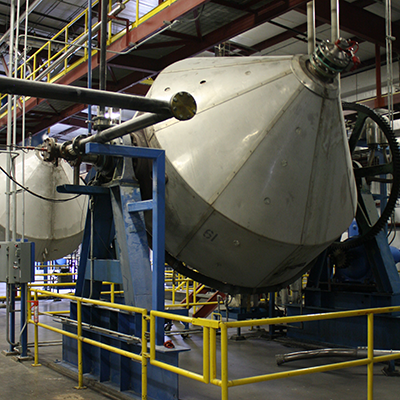 By customizing melt viscosity, Ancos experts improve melt consistency to eliminate material waste and lost production time.